My Neighbour Seki is a series that takes comedy back to basics and excels in its simplicity. With all the series coming out with complex plots and intricate jokes, this series stands out in its simplicity. The series focuses on the traditional comedy format of a comic character and opposing straight (wo)man who reacts to them. This series relies almost entirely relies on Rumi’s conflicts with her non-verbal classmate Seki who constantly engages in elaborate and absurdly distracting antics on his desk. It was refreshing to read a series that captured an amusing and basic premise so effectively. The most important and effective part of this series is its characters. It was a great idea to make Seki non-verbal, and have him express himself primarily through body language. This makes him all the more interesting and weird; it also sometimes makes it difficult to know what he is thinking. In addition to those features, having him be non-verbal allows to him emote using humorous props and exaggerated body language. Seki’s non-verbal nature creates an interesting contrast with Rumi who is our narrator and expresses a lot through language. Their personalities however fit well together with Seki and Rumi often playing well off one another. Though Rumi often expresses frustration as Seki causes distractions and does sometimes try to get him caught, she also has a similar sense of imagination and more often ends up getting drawn into his fooling around which is funny to watch. The two leads’ conflicts and similarities make My Neighbour Seki fun, as Rumi again and again falls victim to distraction and Seki fails to get caught. The interactions between these two characters allow the simple plot and artwork to stand out as hilarious. Our Little King Kat is a real treat to read. While it typically isn’t complex, and lacks the bite and sarcasm of some similar strips such as Peanuts, Cul de sac, Pearls before Swine, or Calvin and Hobbes; it is a really cute and fun read with some great messages as well. With excellent artwork and jokes this volume of Mutt’s continues to be extremely entertaining for all ages. Our Little King Kat also promotes caring social messages about getting involved with activism and caring for our world without being preachy. 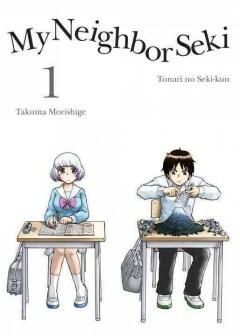 For those looking for a light and enjoyable comic strip experience this is one of the best series and books out there. 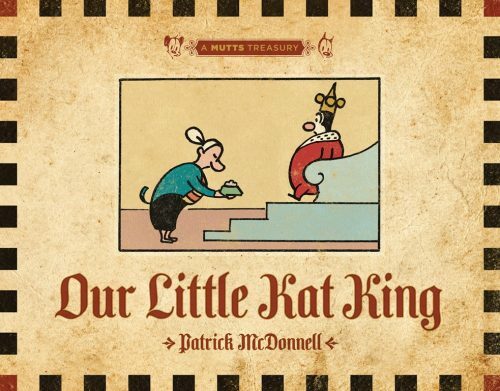 Our Little King Kat more than any other Mutt’s book feels gentle and family friendly, with only a few referential jokes being possibly confusing to non-adult readers. This book more than others lacks the cynicism and edge that other cartoon strips often have. What our Our Little King Kat is lacking in sarcasm it makes up for with serenity and a lot of humour focused on puns, animal behaviour, and how animals view the world. When this volume is not focused upon Mooch and Earl, Our Little King Kat will often focus on environmentalism, and pet treatment and adoption. While not preachy Mutt’s does have a clear agenda of trying to help support animals and the environment, and the importance of making a difference in the world. These two elements work well together and give the series diversity, and a cause. While Our Little King Kat might not be as edgy or diverse as some other comic strips or even other Mutts collections, it does still have a great amount of charm. This is a must read for those who enjoy animals and comics written with a pleasant tone. 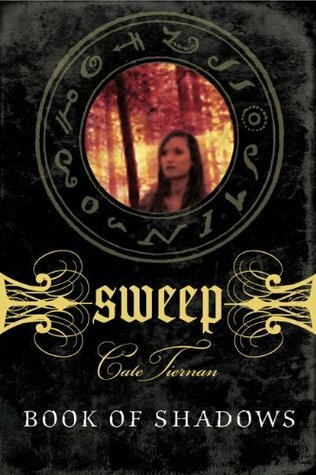 It’s hard to find an easy label like good or bad for teen novel series Sweep’s first book Book of Shadows. It’s a novel that has a lot going for it, but it also has many flaws which are tied to the book’s strengths. Book of Shadows is based in contradictions, making it an interesting but sometimes frustrating read. While I’m glad I was able to read it, I do have some major misgivings and concerns about the book and the future direction of the series. Within this review I hope to reflect both the positive and the negative elements of this text, and help potential readers judge whether it is a book they would like to read. Thematically where the book succeeds the most is in how it portrays elements of drama. Most of the struggles are grounded in reality, and the tone of Morgan, the lead teen, creates a convincing sense of insecurity. Morgan’s narration reveals her uncertainties with her body, her relationship with others, and her struggles to find own voice and beliefs. These elements are normal for teens, as are the drama, passion, energy, and jealousy. Though the story’s use of Wicca elements is clearly researched and presented thoughtfully, its use of Wicca is also fictionalized in some very troubling ways, particularly for those who are not familiar with Wicca. What the story does get right is in the sense of community and role nature plays for Wiccan communities, as well as the challenges faced by young Wiccans, such as discrimination and finding material. 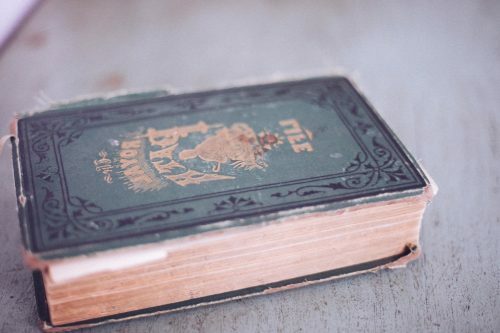 Where this book does have some problems is how magic is portrayed. While covet rituals can be empowering, the idea that someone is naturally attune or gifted in rituals or magic goes against most Wiccan beliefs. Spells and effectiveness in Wicca are not based on being “pure blood,” occult powers, or being descended from special clans, but rather in subtle results derived from effort. I would have preferred instead for the book to have a narrative more based on dispelling stereotypes without the need for supernatural magic, and explored Wiccan social values and prejudice more. While the drama in this text is fitting and believable, often the liberties taken with Wicca practices, despite some solid aspects, are somewhat suspect and misleading to those unfamiliar with them. 2018, Books, fiction, graphic novels, January, manga, mutts, My neighbor Seki, reviews, Sweep, teen books, wicca. Bookmark.